Dubai, UAE, June 21, 2018: On the night of Skyline Suhoor, Skyline University College brought together its strategic alliances and partners such as consul generals, government officials, corporate leaders, members of the business councils and social clubs, school principals, and media at Al Majlis, Madinat Jumeirah, Dubai on June 6, 2018. 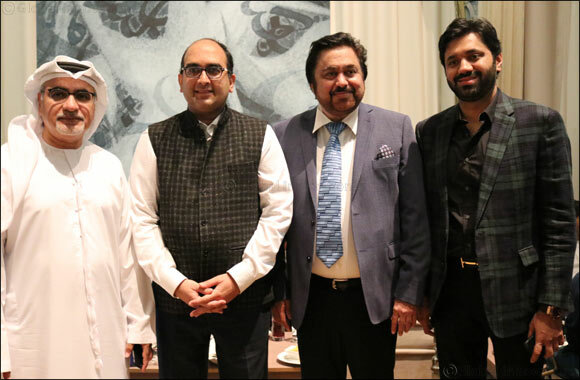 The Skyline team headed by Mr. Kamal Puri, Chairman of Skyline International Group and Founder President of Skyline University College welcomed each guest in a lavish Arabian set-up, complete with sumptuous middle-eastern cuisine and music. The night of gathering and networking served as a gesture of Skyline’s appreciation to its government and corporate affiliates for their continuous support. Some of the honorable guests of the night were Consul General of Sri Lanka, H.E. Charitha Yattogoda; Consul General of the Republic of India, H.E. Vipul; Consul General of Lebanon, H.E. Assaf Doumit; and Consul General of Republic of Tajikistan, H.E. Bahodur Safarzoda. Among the prominent Indian business tycoons were Mr. Paras Shahdadpuri, Chairman of Nikai Group and Dr. Azad Moopen, Chairman and Managing Director of Aster DM Healthcare.